After being included in the Care and Support for Teaching and Learning (CSTL) Programme at the start of 2016, Chingoli Primary School has put CSTL principles into practice to support vulnerable learners. Firstly, Chingoli has introduced a programme to provide material support to needy students for example, by providing them with school uniforms. After they attended the CSTL training, teachers contacted partners and the business community to raise funds to buy materials to make uniform for learners. The school has also set aside one day a month when teachers and students alike make a voluntary contribution to the fund for this. The CSTL Programme has encouraged schools to form partnerships, and Chingoli School approached various organizations to join hands in caring and supporting vulnerable children. Early this year, one such company, Pacific Limited, visited the school and distributed school bags and other teaching and learning materials to learners. After participation on the CSTL training, which included the use of the Learner Vulnerability Identification Form, teachers identified that a Standard 3 (Grade 5) learner, Aleck,* was being affected socially and academically by an abnormal skin he was born with. At the start academic year in September 2016, the school referred him to a nearby health centre, which in turn referred him to the district hospital where he was prescribed with the necessary medication (which he continues to take). The school also put the learner in contact with the Adventist Development and Relief Agency, which is now providing him and his family with food items, as well as the money to pay for his medication and other needs of the family. His wounds are now healing. Teachers also approached other partners to assist the learner’s mother, who is a single parent, as she was experiencing problems with the roofing of the humble family abode. The house has now been fully roofed with iron sheets, thanks to the initial intervention of the CSTL teachers. 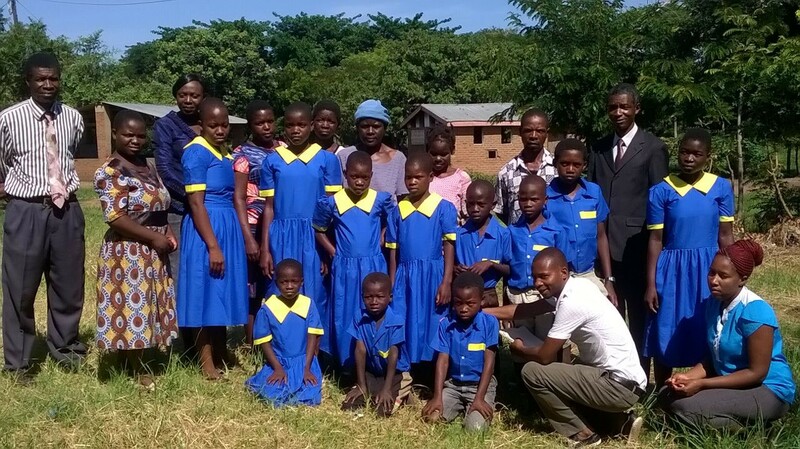 After CSTL was introduced at the Lilongwe Demonstration Primary School in 2015, management at the school recognized it needed to improve its ability to provide care and support for the high numbers of learners enrolled. With only 16 classrooms and 33 teachers for over 2 370 learners—some of whom have learning disabilities and other special needs—the school is cramped for space. Furthermore, the sanitation facilities were in disrepair. 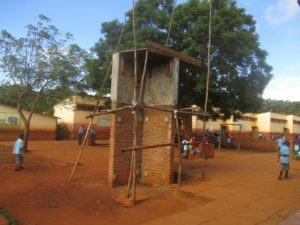 For a school with such a high enrolment, and which has learners with special needs, these water and sanitation problems posed a major challenge. However, through the introduction of CSTL key priority needs for the school to focus on were identified, including hand-washing facilities and the accessing of better services for learners with special needs. Following the CSTL training for teachers on the importance of identifying the vulnerable learners and accessing support for them from their multisectoral partners, the school embarked on a project to repair the water reticulation system and cisterns, and to construct a tank to store enough water to meet the demand. The school approached the community, the Ministry of Education and other partners to engage their support. Recognizing the importance of the initiative, the community agreed to provide sand, quarry stones, bricks and labour, and the Ministry of Education provided funds through the School Improvement Programme for the construction of the water tower to house a water tank. UNICEF provided funds for procurement of a ten thousand litre tank. Through these proactive efforts by the school, teachers and learners now have access to adequate safe drinking water, as well as improved hand-washing facilities; there are ongoing efforts to improve sanitation at the school. Through CSTL assistance, the school has also improved the nutritional intake of learners. Before the start of the CSTL Programme, the school didn’t have a food garden as it didn’t have the necessary supplies. 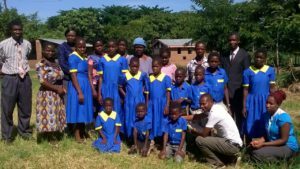 However, with the garden tools and seedlings provided through CSTL, the school has now established a garden, and has already reaped two rainy season crops. Before the introduction of the CSTL programme, the learners with special needs were using a makeshift resource room that was badly ventilated and rather dark inside for learning purposes. The CSTL training provided emphasized the need of accessing services for vulnerable learners from partners. The school has therefore sought to access support from partners, with the result that a purpose-built resource room for special needs learners is nearing completion. Individual learners have been directly assisted as well. For example, a Standard 6 (Grade 8) learner, Sumnganane,* with polio and intellectual disabilities had had to be brought to school on her mother’s back. But through the CSTL training on multisectoral collaboration, the school approached other partners to help, and the VSO organisation has now provided a tricycle for learner to use. Another example is of Bright,* a physically challenged learner, born with a cerebral palsy. To make matters worse, her father divorced her mother when Bright was born, apparently because of cultural stigma associated with physically challenged children. So her mother had to face the struggle of bringing her up alone. CSTL, however, has helped to change the mindset, at least of teachers, to love and care for vulnerable children. And now, through the efforts of her teacher, Bright has been provided with a wheelchair.